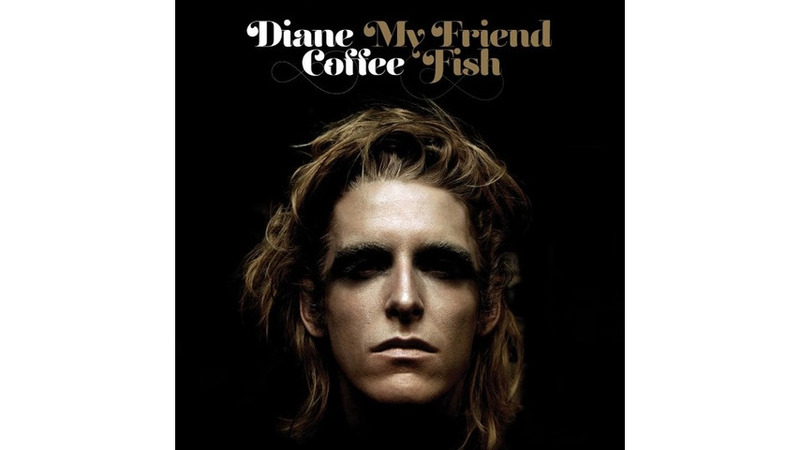 Packed with peace, love and jangly guitars, Diane Coffee’s debut LP, My Friend Fish, is an irresistible ode to ‘60s psychedelia. After only a few listens, it’s hard not to slip into dreams of floral-crown-wearing hippies and cozy Haight-Ashbury cafés. As the drummer for retro-rock outfit Foxygen, Diane Coffee (the solo moniker of Shaun Fleming), isn’t a stranger to nostalgic jams. And My Friend Fish oozes West Coast cool, a feat considering that it was recorded using bare-bones tools—think: an iPhone and an old kitchen pot—in a cramped NYC apartment. At the time, 26-year-old Fleming was dealing with a nasty case of cabin fever. Lucky for us, his miserable experience created a 10-track collection filled with organs that hark to both a traditional gospel concert and a jubilant acid trip. The aptly titled “Hymn” opens the album with humming organs and pops of haunting choral vocals. Cheeky lyrics—“I give you my word/ though it’s certainly one that you’ve heard/ I think that you’re cool/ oh yeah, I catch a cold with you”—ripple through a swirl of reverb and percussion, building to a wonderfully noisy climax. The resulting chaos provides the perfect high-energy ending to an otherwise gentle intro. Taking more of a folky turn, “Never Lonely” has a funky flare with a defined bass riff leading throughout and warbled lyrics that act more as a separate instrument than a focal point. “Tale of a Dead Dog” begins like something off of Pink Floyd’s Wish You Were Here. The simple guitar pairs wonderfully with ethereal, layered vocals.